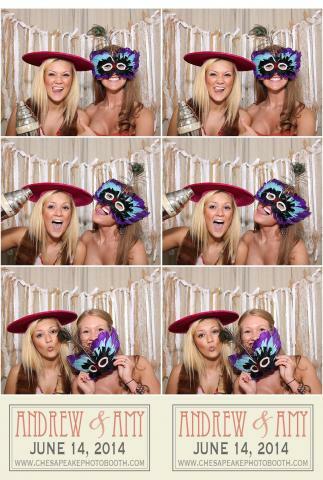 Chesapeake Photo Booth designed their booths to be elegant and enhance the overall appearance of a photo booth. The booths are designed to fit into the style of your event and can also be customized more to fit a specific look. 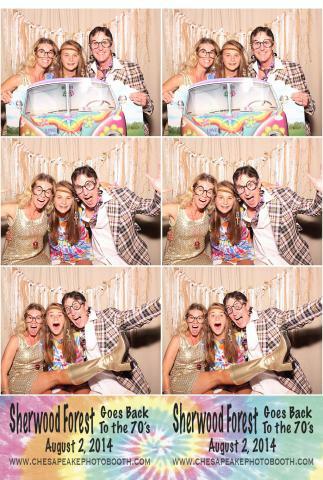 You are spending so much time making sure your event is amazing, be sure your photo booth compliments it. Our booths accommodate up to 12 people. You can do large or small groups and no one gets left out. We include amazing props that match the booth style for a truly interactive experience. Finally, we offer a guestbook service for our wedding clients. 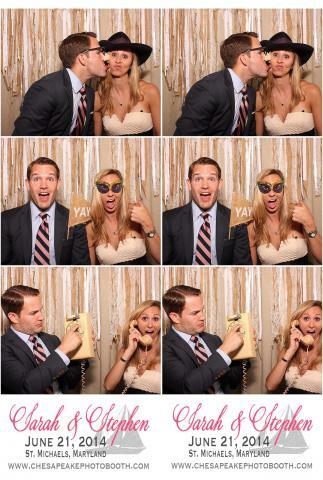 Your guest can leave a congratulatory message next to their photo strip and is perfect for your guest book. SHABBY CHIC – This is our most popular booth and has high-quality custom drapes, custom ” enclosed photo booth ” flag banner, farmhouse window chalkboard, vintage suitcases, and shabby chic props (vintage items from antique stores – not your typical props). 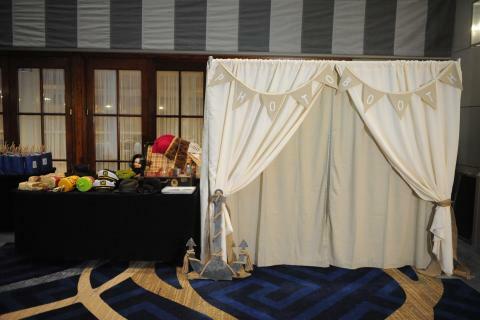 NAUTICAL BOOTH- Many clients love our Nautical themed booth. This is the same as the shabby chic booth above but with added nautical props and a navy blue colored ribbon on the backdrop. Nautical props include: oars, anchors, buoys, captain hats, ahoy signs, captains wheel and we mix in some of the shabby chic props. VINTAGE LOUNGE – An open-air concept with all vintage pieces, makes this a unique booth indeed. The Vintage Lounge compliments many styles and will be an amazing vignette at your venue. Real antique props add to the experience and to your guest’s enjoyment. CUSTOM COLORED DRAPES – This booth has high-quality drapes that can be coordinated with the color of your event, so we can accent the booth to fit your colors and style. The classic photo strip – get three poses with a custom logo. Each print out gives you two strips. One for you and one for the guest. Our booth includes a high-quality DSLR camera for a professional exposure every time! 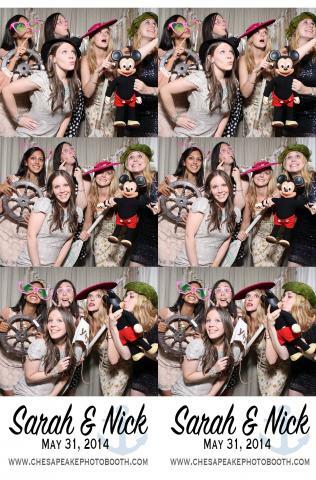 When you hire a photo booth company that was started by a professional photographer you are guaranteed to get a professional image every time. We make sure the settings are optimal for your environment. We’ve seen so many dark prints at events because the booth attendant just sets the camera to “auto” and hopes for the best. When you step into our booth, there will be a touchscreen with a choice of color or black and white. Once they select their option, it is time to strike a pose. The strip will take 7 seconds to print. The guest leaves with a copy and our booth attendant will keep a copy for you or put it in the memory book if you’ve selected that option. You will also receive the high-resolution thumb drive of all the photos taken at the event. Yes, our state of the art booths have the option of adding VIDEO. Your friends and family will be able to leave short, fun congratulatory video clips for you. The privacy curtain allows your guests to feel comfortable sharing their personal messages to you. It’s a great way to get special video of your event without having to hire a videographer. However, if hiring a videographer, we can supply them clips to enhance your video. You will receive a high-resolution thumb drive of all videos along with the photographs.